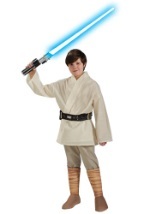 Top your Star Wars costume off with this deluxe Jedi robe. 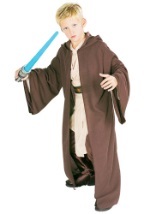 The brown cloak is made of a thick polyester weave and has over-sized sleeves and hood to keep your figure disguised. Looks great over any of our Jedi costumes! Don't forget you lightsaber! 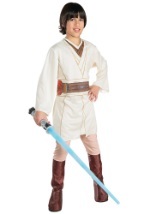 Be sure to check out all of our Star Wars accessories for a complete look.